It is pre-dawn. A full moon shines on Halcyon Pond. It is the Green Corn Moon. The crops have been planted and now we wait to see if nature will do her part, bringing just enough nourishing rain and sun. Too much sun, the crops are burned. Too much rain, they rot. Not enough of either and the crops starve, as we might during the coming winter months. I traveled many years ago to Pamplona for the Running of the Bulls. It is a festival of drunkenness. A Bacchanalia of bravado, but now devoid of its spiritual significance. In the midst of the insanity, I couldn’t help but wonder where its roots were. And I could find no one who could explain the ritual to me. Yes, it grew out of annual bull herding and our natural drive for competition. But certainly there’s a deeper meaning in challenging an animal as powerful as a bull. The bull appears in the symbology of almost all ancient cultures. And it is both revered and sacrificed. In fighting the bull, are we fighting the power of nature itself? With a bull, the danger is obvious. The power of the beast is palpable, it makes your heart race even when the bull is at peace. But with nature we have come to believe that we are dominant, that we have control. Until a drastic earthquake, or a raging storm, or wild fire reminds us that we are vulnerable. But we soon forget. And I wonder, is it better to believe we are more powerful than Nature? To believe that we have won? Or should we live in reverence knowing that at any moment it can unleash forces radically beyond us. Or even just gradually undo all we have done? And doesn’t that reverence then free us from our hubris and allow us to live in harmony with the mystery? Amazing photos and eventually I think nature will win but at such a cost. We need to understand and work with the natural world and stop digging up fossil fuels? Will try and keep up with your posts and agree it is very complex and different in different places. We should all live in reverence and in constant awe of nature. 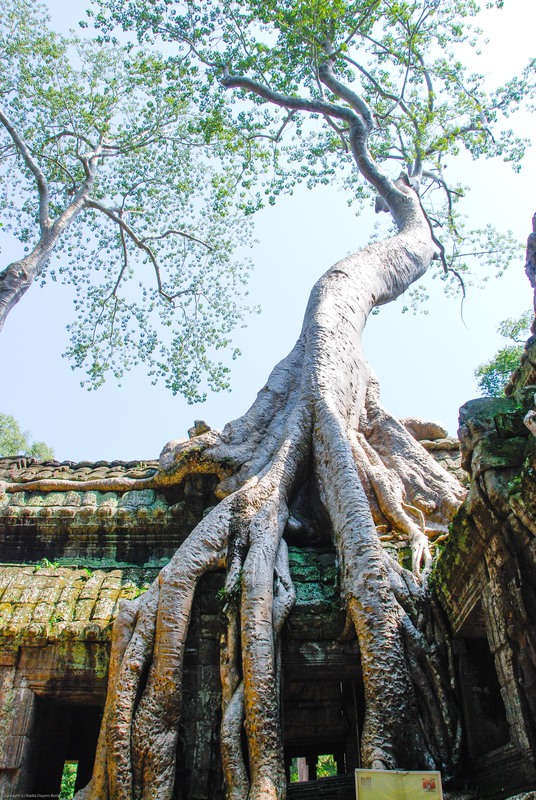 Your Angkor Wat photos capture this ! Thank you, Ed. It’s an amazing place that is difficult to capture in pictures or words. Your pictures are simply amazing. I could feel as I am in them. Thank you, Miss Evelyn. Angkor Wat is overwhelming. I’d love to think I could share a little of the awe it inspires. You’re very welcome 🙂 do you happen to have any more? Thank you again for sharing the wonder of that world. Oh my goodness. I have hundreds. I just need to figure out how to choose a few and then how to do an album on WP. Ah, perhaps you are not a “chemtrail” believer or you would know that our government really can control the weather (just joking). Also, we thought that we could beat microbes at their own game by using antibiotics but now we know the antibiotic era is coming to a close. We learned of this on our last trip to Peru where we met a Dutch microbiologist who was on a year’s sabbatical looking for sources of the next generation drugs to treat infection. Bacteria are apparently much smarter than we are, at least within their own microcosm. I think that nature and its evolutions are far more powerful than us mere humans! Your photographs not only show the beauty but also its strength. So true, Susan. And what a great contrast in scale. From the giant trees in my photos to the tiniest microbe.